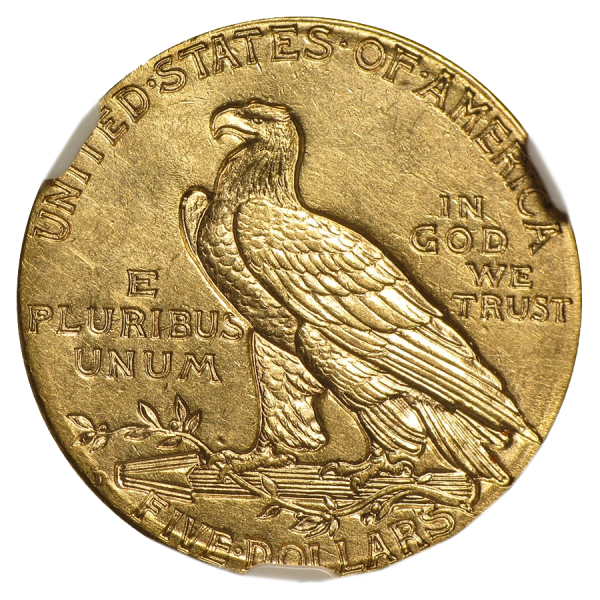 Collectors love the $5 Indian Gold Half Eagle coin because it is the only coin of any type and denomination to be struck by all seven mints to supply itself as the pocket currency of daily life for much of the 19th and early 20th centuries. This unique design created by Bela Lyon Pratt of Boston is the most appealing. Obverse: Displays a masculine image of a Native American wearing a full headdress encircled by 13 stars with the word “Liberty” above and the date below.